TICKETS ON SALE FRIDAY 18th AUGUST AT 5pm. CLICK HERE TO GET YOURS or CALL 0333 666 33 66. WYTCH SOLD OUT QUICKLY LAST YEAR SO DON’T MISS OUT! “A maze of the mind” – London Theatre One. “Immersive Theatre at its best!” London Pub Theatres. Last Autumn, Newcastle’s Castle Keep played host to ‘WYTCH’, a play written by award winning writer Lee Mattinson, and produced by Twenty Seven Productions, revealing the truth behind one of Newcastle’s darkest times in history – the witch trials of 1650. After a sell-out run of performances, Twenty Seven are excited to be heading back to The Castle for a second time, this Autumn, to take you on a different journey to the usual factual, historical inspired productions that they are known for. ‘Don’t Go Outside’ is set in Newcastle’s ancient fortress, in an apocalyptic, modern day world, where the audience witness the struggle of three “survivors” from the outside. Inspired by thrillers such as “10 Cloverfield Lane” and the hit game “The Last of Us”, “Don’t Go Outside” is a site specific, terrifyingly immersive play, exploring human nature, and what we will do to stay alive when the end of the world is very near. As this production is programmed right across the Halloween season, audiences should expect a truly heart racing experience, starting right at the beginning, by barricading the audience in the Main Hall for the duration. It is fair to say this is not for the faint hearted; due to the nature of the show, we cannot grant access to those patrons with mobility issues, it is not suitable for people with epilepsy and with an age restriction of sixteen, audience discretion is advised. 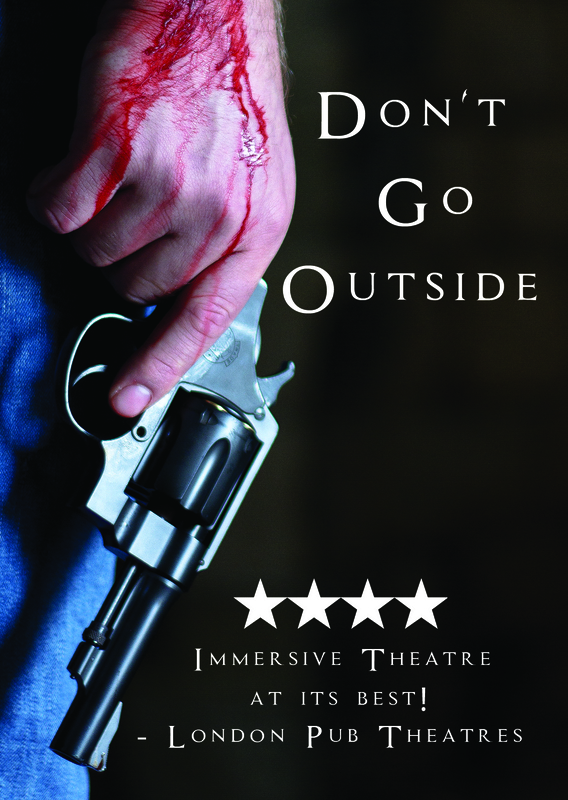 ‘Don’t Go Outside’ opens on the 23rd October and runs until 5th November, with shows every night at 7:30pm, lasting approximately 80 minutes. There is no show on the 28th October.